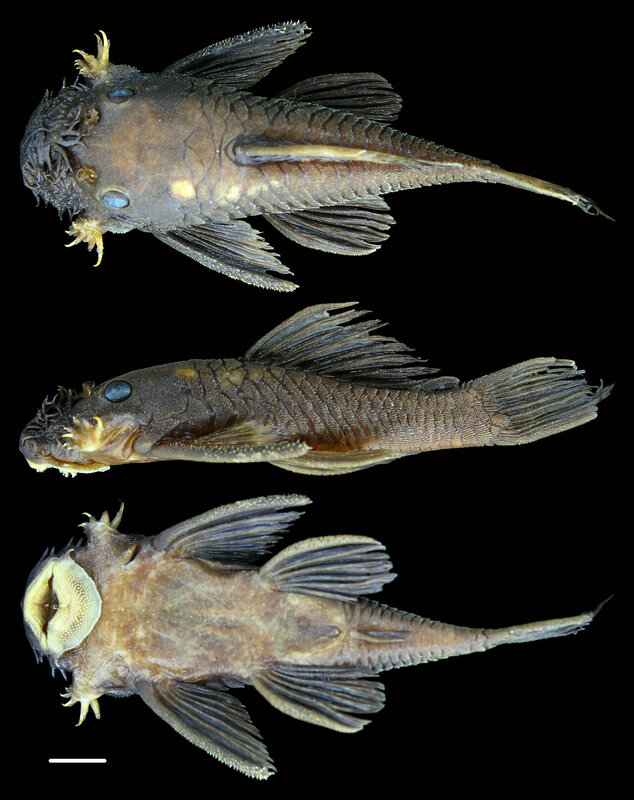 One of the new species of catfish, named for Connie Keller, a supporter of conservation science and the former chair of the Field Museum's Board of Trustees. Credit: Jonathan W. Armbruster. No one knows just how many species live in the Amazon rainforest—scientists estimate that it's home to one-third of the world's animal and plant species. There are still thousands out there waiting to be discovered—like these six new catfish with faces covered in tentacles. 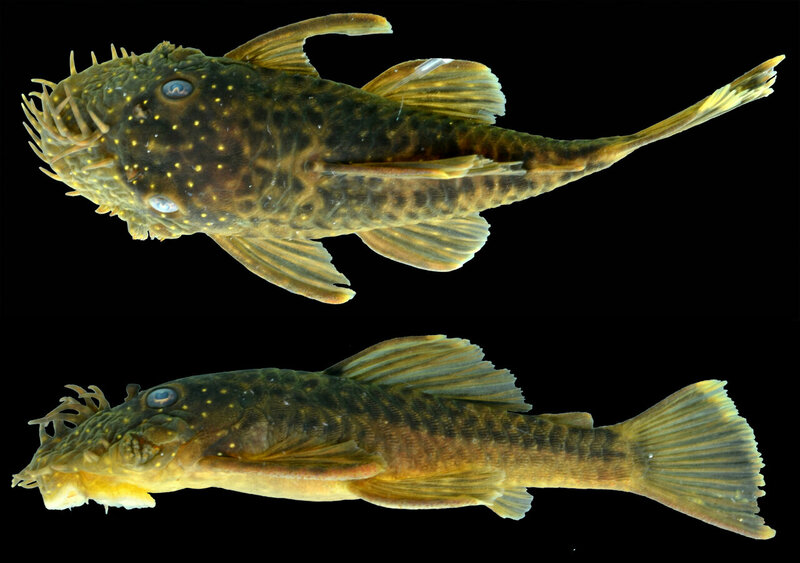 One of the new catfish species, Ancistrus patronus, named for the genus's paternal care of offspring. Credit: Jonathan W. Armbruster. Some of the new species' names hint at the animals' traits or the story of their discovery. 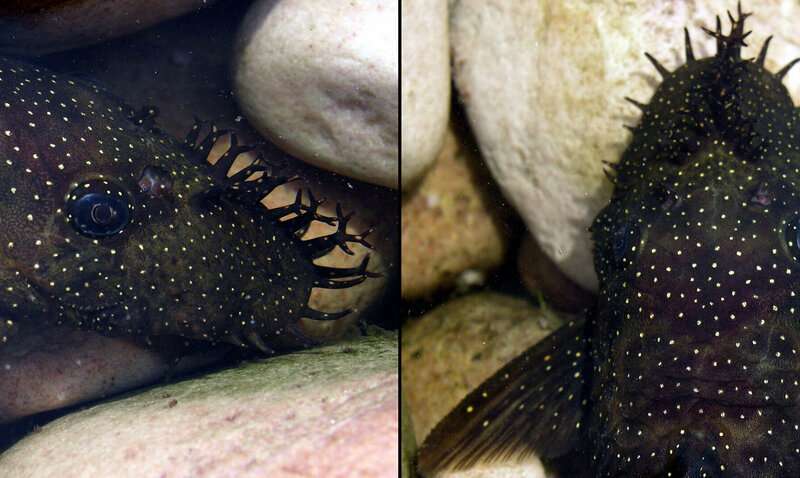 For instance, Ancistrus patronus's name means "protector," a reference to how Ancistrus fathers care for their young. The species-defining "type specimen" for A. yutajae is named for two star-crossed lovers in an Indigenous Amazonian legend; it was discovered on Valentine's Day in 1981. Some of the other new species' names have a personal connection for de Souza—A. kellerae for Connie Keller, a major supporter of conservation science at the Field Museum, A. leoni after a deceased colleague, A. saudades for the Portuguese word for melancholy, for de Souza's nostalgia for her Brazilian homeland. The catfish are found in northeastern South America, in an area of Venezuela, Colombia, and Guyana known as the Guiana Shield. The fish live in clear, fast-moving rivers and streams. 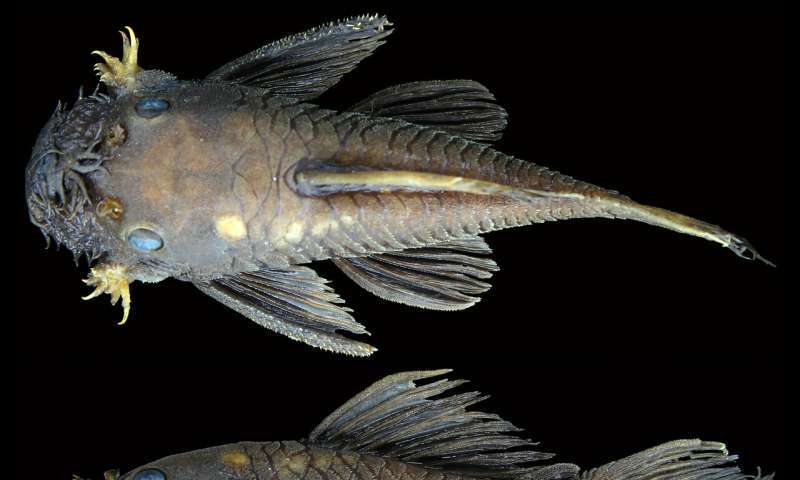 "If you're in the right habitat, you're going to find a lot of them," says de Souza, who co-authored the Zootaxa paper with her former Ph.D. advisor Jonathan Armbruster of the Auburn University Museum of Natural History, a leading expert in South American sucker-mouth catfishes, and long-time colleague and mentor Donald Taphorn, also a renowned Neotropical ichthyologist. "But they are sensitive to subtle changes in the environment, we have seen this at sites where they were plentiful and now scarce, this is due to habitat destruction." A close-up of the tentacles of a male Ancistrus patronus. The male's tentacles look like the eggs that the male cares for. Credit: Jonathan W. Armbruster. And problems affecting the catfish don't stop with the tentacle-faced Romeos. "The whole ecosystem is interconnected—you can't separate the species in it. Giant river otters love to eat these catfish, and jaguars have been observed to have higher mercury levels from eating contaminated fish or other species that feed on fish. This can have dire impacts on the whole ecosystem," says de Souza. "All the layers of the Amazon basin are interconnected from the rivers to the forest canopy." With untold unknown species remaining in the Amazon, the work is far from over. "I have this undying curiosity—what's around that bend, that corner, what's in that creek, what can I find? And this project was all about discovery, whether we were finding new species in rivers in Guyana or in jars in museum collections. 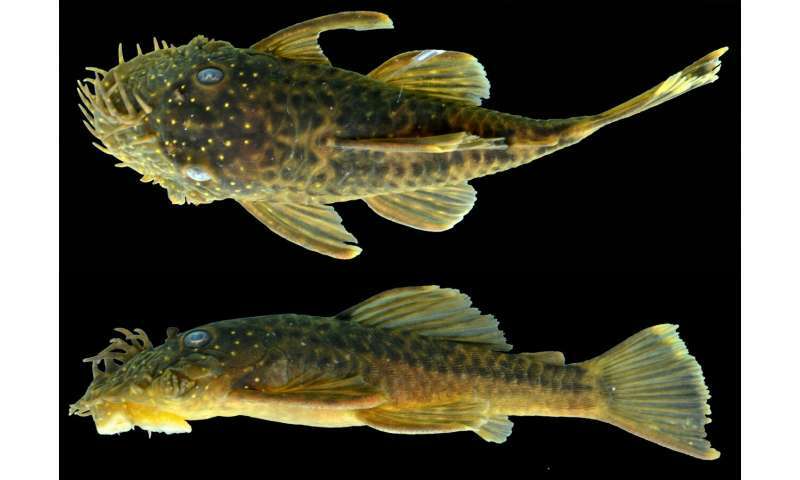 This study included more than 500 specimens, but this is just a drop in the bucket—there's still so much more to learn about Ancistrus and other Neotropical fish."